Honeycombe blinds with their cellular design create a pocket of air and are therefore excellent for keeping the cold out and the heat in. They are also very fashionable and create a stunning finish to any room. They come in a variety of styles including single and double cell design in translucent or blockout fabrics. They are also available with different operating systems for various applications. 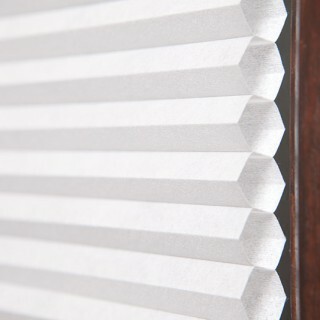 Honeycomb blinds offer an easy yet versatile way to make any home graceful and energy efficient. The Honeycomb collection includes a beautiful new range of translucent, blackout and semi-sheer fabrics in a variety of delicate colours, and comes with a choice of operating systems and clever designs.